Blueprint Strata Management is a boutique strata management firm with a focus on delivering premium strata property management services to the Metro Vancouver areas. 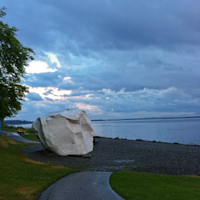 We are centrally located in beautiful White Rock, BC, a stone's throw from Surrey, allowing us to easily provide full strata property management services to strata communities large and tiny, as well as accounting and administrative services to self managed strata corporations. We believe that through excellent service we will be able to cultivate great relationships with a select group of strata corporations in need of open and honest partnership in the management of their complexes and communities. To that end, we offer our services to strata corporations based on a no-strings-attached initial term and follow that up each year with an opportunity to review and evaluate the relationship. For more information on this unique approach, take a look at our commitment and guarantee. If you are looking for strata management from a company that is willing to step up and work with you, you're in the right place.